Dual Fun: Supriya Shukla aces 'comedy' and 'emotional' roles! Sometimes they have to make viewers laugh, while sometimes cry. A true actor knows the art of expressing emotions in any situation. Actress Supriya Shukla is currently juggling between two television shows. The actress is playing a protective mother in Kumkum Bhagya and a funny woman in Saheb Biwi Aur Boss. 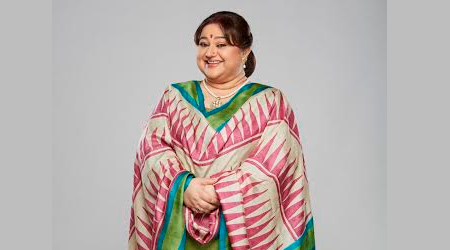 Talking about playing two different characters in her shows, Supriya shared, “Viewers are watching me crying for my daughter Pragya in Kumkum...while on Saheb, they see me as a comedienne." We asked her to pick between her two roles. She said, "I like both, but I am more partial toward Sarla of Kumkum Bhagya as it’s more realistic." Yuva Bhaskar: Dual Fun: Supriya Shukla aces 'comedy' and 'emotional' roles!